The government may have banned plastic for good but it’s sad that they weren’t prepared with a solution. Well, some of us are. And if you have been facing trouble convincing your garbage man to accept the black polythene, it’s time to make the switch. Here are some people/ organisations you can contact to buy bio-degradable garbage bags. Ahura Support is an initiative that is making your life easier. Taking matters into their own hands, they are making bio-degradable bags in two sizes: 19 x 21 cm and 25 x 30 cm. Available in two quantities, 30 bags 15 bags, you can buy them at INR 90. They have distributors in Dadar, Byculla and Grant Road where you can buy them And to know the exact addresses, you can call them on +912223800317 and +912223800317 from Monday to Friday between 10 am to 4 pm. 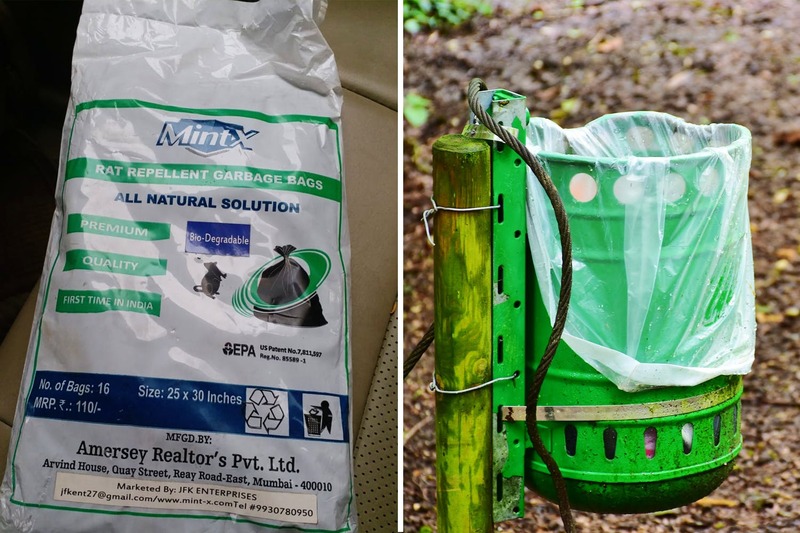 A Navi Mumbai-based company, Aneesh Tech is going a step ahead and selling ‘compostable bags’. And they are even more eco-friendly than bio-degradable bags. While bio-degradable bags may take months or years to do their job, compostable bags do theirs in 160 days. Priced at INR 340 per kg plus GST, you can call Aneesh on +919833911353 for further information. If you’re not the kinds to call up people and order, please feel free to put your fingers to use and order it online. We found a brand called Compo Keeper that sells compostable bags at INR 1,115. Now, unless you have a friend coming in from the US or have someone who can bring it for you, we’d say skip this option. If you don’t mind shelling out, go for it. Buy them here.